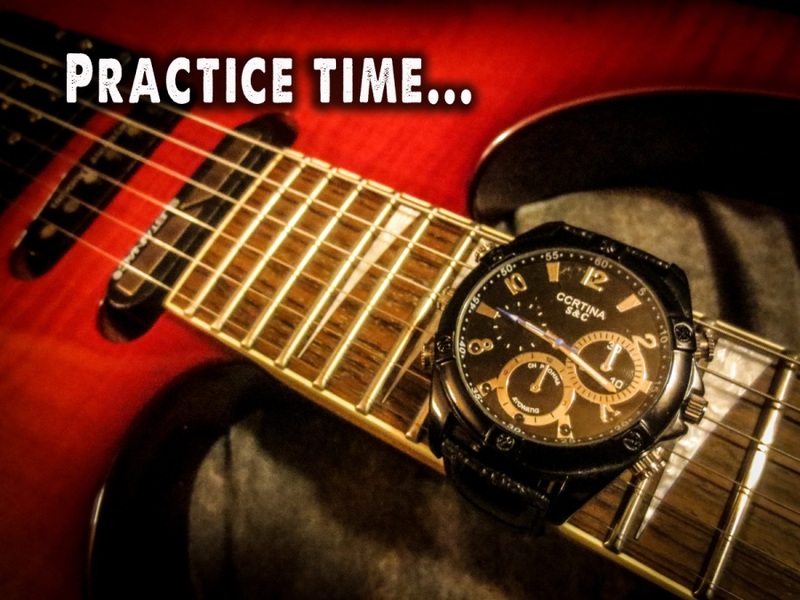 Almost all musicians struggle with finding enough time to practice. We can have the most determined and productivity-maximizing mindset, but if we fail at finding or making the time we need to properly develop our skills, we will be left dreaming of things that we can never do. 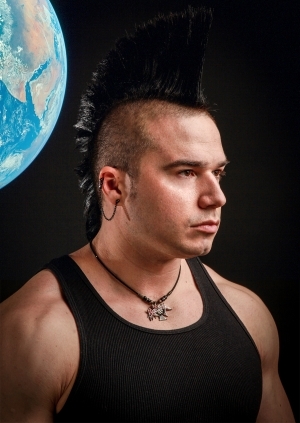 For most of the aspiring virtuosi out there, technique development and “chops building” is what takes the lion’s share of their time. It takes years even decades, in some cases, to develop the world class abilities that we all dream of. We’ve all heard the tales of how our musical heroes spent their youth locked in their bedrooms grinding away at licks and scales. Finally, after years of metronomic torture, they emerged all powerful, ready to rule the stage. Facing the limitations of your own abilities can often times be an inspiration killer. “I can hear it in my head, but I can’t play it”, is the lamentation of so many players starting out. An “ear” for music can be partially achieved simply through the act of listening and paying attention, but when it comes to your playing ability, you have to put in hours upon hours of focused practice. To throw salt on your raw fingertips, many of the common exercises for developing fundamental skills are some of the most boring to play. You have to pay close attention to something that’s really boring, and you have to do it, for a long time… and then do it again and again and again. Are you encouraged yet? Those unpleasant realities aside, simply finding a chunk of your time that you can dedicate to future rock-stardom or even the most basic self improvement can be a monumental task. To many folks today, the idea of “free time” is laughable. The list of distractions available to us is growing ever longer and we are simultaneously expected to be more productive and more aware of the world around us. Speaking of distractions…social media has become both a huge arsenal of networking tools and a huge time wasting machine for musicians. It’s worth taking a few sentences to talk about the important of budgeting your time on social media. Yes, it’s true that it’s helpful for musician’s to stay up on the current trends and certainly a lot of lyricists and songwriters find inspiration in the world’s current events. All that aside, the ability of social media to provide an endless stream of distraction is unrivaled. The easiest way to balance and manage the time you spend on social media is to simply schedule a block of time in your day specifically for social media. You can even set an alarm, and then another alarm to tell when your time is up. Yes, it might seem like micromanaging your own life, but considering how valuable our time becomes when we’re dedicating ourselves to developing our musical abilities, it’s a small price to pay for yet another advantage in the game of time management. So, we’ve established that we need time to practice and that there are a lot of distractions. Yes, two paragraphs in and I’ve only told you things that you already know. No doubt you’d like hear something new. Let’s take a different approach to this. Rather than look for holes in your schedule that you can fill with practice time, let’s instead focus on restructuring what we do, and how we do it, and find ways to be more efficient, thereby creating time that we didn’t have before while maintaining the same level, or more, of productivity. Sounds easy right? Yeah, I don’t think so either. But let’s take a closer look. First off, look at your schedule and identify the things that you absolutely have to get done. Things like your job or school or maybe taking care of your kids. We need to recognize that there are certain things that you just can’t realistically mess with and they should remain high on your priority list. That being said, almost everyone has times during the day when they’re watching TV, surfing the web, reading a magazine, masturbating, something like that. It’s at activities like those that you need to take a long, hard look, and ask yourself how important those things really are to you. Ask the question, if you had to choose between watching your favorite TV show or putting in the time necessary to become a great musician… which would you choose? It can be hard to see it in that light since watching TV gives you an instant result and practicing does not, but in the end they both accomplish something. What each one of those activities accomplishes is completely different and I would imagine that most people reading this would choose becoming a great musician over watching TV. Success is just a matter of making that same decision over and over again. Now, let’s say that you have a uniquely packed schedule and you don’t actually have any time when you just sit down and watch a show or get lost on Facebook. Inhabitants of that situation might think that finding the time to practice would simply be impossible. No such luck. What it really means is that you just have to get more creative and more resourceful. So you’re working an 8 hour shift…. do you get a lunch? Maybe a couple of 15 minute breaks? Most people, if they have prepared a lunch ahead of time, can eat in 10 minutes. That leaves you 20 minutes to go outside or in your car and practice. That’s right, you’ll have to bring an instrument with you, but like I said, we’re trying to maximize resourcefulness here. Be “That Guy” who brings the guitar to work. What matters more… making progress or not standing out? In music standing out is a good thing. It’s a win win. When it com es down to it, you have to take a serious, emotionless look at how you have prioritized your time and ask yourself if that’s really what’s best for you to reach your goals. And yes, “live for today because tomorrow may never come”… I get it. Let’s be honest though, tomorrow most likely will come and if you want it to be better than today, then you have to make the best decisions you can in the moment right now.